Anyone else experienced this? Is this covered under warranty? - I've got about 5500 kms on it, bought the bike 6 mos ago. I would assume it is warranty. Call your dealer to find out for sure. I had my fork seals replaced under Kawasaki's extended warranty at Davis Service Center in Montrose, CO. A shout out for an excellent place to do business, BTW. The shop in Klamath Falls, OR called the leaking seals a wear issue and would not repair under warranty. You may have to try another dealer. Ok, confession here...I'm a noob. My oil leak was excess chain oil. I'm gonna delete this thread (if I can) but I thought I would first 'fess up. One of us MODS can delete the thread IF you really want, but MY suggestion is to leave it 'as is', BECAUSE it can be a 'learning- experience' for another inmate, that what he is experiencing is NOT a problem. BTW - I TOO have oil around my shifter as a result of lubing my chain pretty often. Last edited by fasteddiecopeman; 03-29-2019 at 01:51 PM. Well that's a good thing. I've been using Maxima chain care products (chain cleaner & chain wax) both in aerosol cans on several different bikes over the last ten years. I primarily made the switch to wax to avoid the messy oil slinging problem, and I'm in a sandy environment (Florida). The wax doesn't attract sand like oils do. 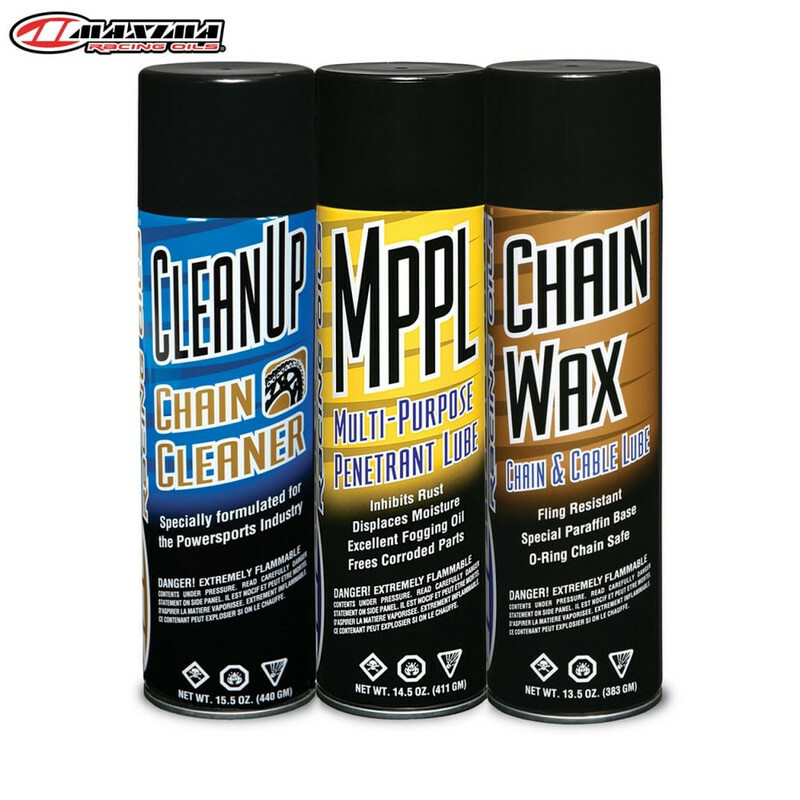 The Maxima chain wax is very easy to use, its very clean, and it doesn't sling off like oils will. It also doesn't make the sprockets a mess either. Most importantly, it works. I ride the bike just before cleaning & lubing the chain to get the chain hot. I then do the following. Put the bike on the center stand or get the rear wheel off the ground. Using a chain brush and the chain cleaner, I clean the chain as I rotate the rear wheel. I wipe off the chain with a clean rag. Then I spray the chain with the wax as I rotate the wheel, the warm chain will cause the wax to melt into all of the chains crevasses. I then wipe all excess wax off the chain with a clean rag as I rotate the wheel. I then let it sit for 15 minutes to allow the wax to set. When you ride, you wont have any excess anywhere. As the chain warms up, the wax does its thing. I've never had a chain or sprocket problem with any of my chain drive bikes since using it. I don't use it on my primary ride as its shaft drive, but I do use it on the VX-300.